Seventeen-year-old Molly Peskin-Suso knows all about unrequited love — she’s lived through it twenty-six times. She crushes hard and crushes often, but always in secret. Because no matter how many times her twin sister, Cassie, tells her to woman up, Molly can’t stomach the idea of rejection. So she’s careful. Fat girls always have to be careful. Then a cute new girl enters Cassie’s orbit, and for the first time ever, Molly’s cynical twin is a lovesick mess. Meanwhile, Molly’s totally not dying of loneliness-except for the part where she is. Luckily, Cassie’s new girlfriend comes with a cute hipster-boy sidekick. Will is funny, flirtatious, and just might be perfect crush material. Maybe more than crush material. And if Molly can win him over, she’ll get her first kiss and she’ll get her twin back. 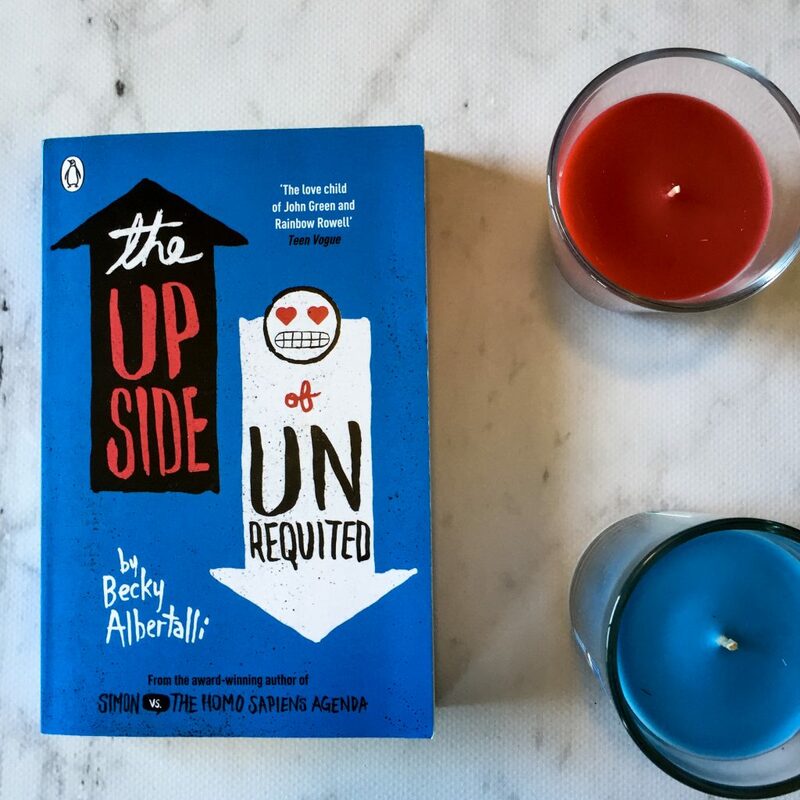 Written by the author of the wildly successful Simon vs. the Homosapiens Agenda, The Upside of Unrequited is a sweet story about a young girl who has always had crushes but never boyfriends. Her closest relationships have always been with her sister and her two mums, but now there are two boys in her life who appear to be interested in her. This is new territory for her. The Upside of Unrequited explores love, loss, family, friendship and growing up. It’s a coming of age story for someone who already appears to have everything in order. Because whilst Molly is strong, smart and beautiful, she’s at times insecure and worried and she lacks confidence. Not all readers are going to relate to Molly in the same way. Some readers may not be as interested in the romantic side of the book as others, but there are a lot of other elements to this book that are really important for readers. Yes, a huge part of the novel may be about Molly trying to get a boyfriend (which in itself is a little bit frustrating because it tries to highlight that a girl can only have self-worth if she finds herself a boyfriend). But it also symbolises how hard it can be for a teenager if he/she feels like everyone else has accomplished something and you’re the one falling apart. Molly feels like everyone else has finished the race and yet she’s still at the starting line. This book is also about growing up, and at times, growing apart. Once Molly’s sister Cassie gets a girlfriend, Molly starts to feel like she’s being cast aside. Like she’s not as important to Cassie anymore. She doesn’t quite realise that as you get older, you’re going to have to share the people in your life once they start forming relationships. 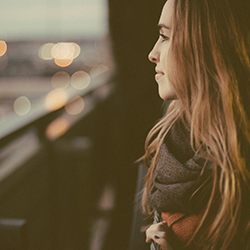 The Upside of Unrequited teaches us that growing up can be tiring and overwhelming, and that not everything is always going to be easy. I personally liked Simon vs. the Homosapiens Agenda better, but this is still an enjoyable read. It’s also a quick read, for those of you looking for something relatively short and fast-paced. This book also teaches readers that sometimes the guy you least expect is the one who is the most suited to you. Sometimes being friends first helps you build that foundation that can lead to a relationship. Sometimes being friends first means you will be dating the person that you have the most things in common with. And for those of you who are also fans of Becky’s first novel, you should know that Simon DOES make a small cameo in this book! If I had to point out anything about the book that I didn’t like, it would be the dialogue between Molly’s mums, Patty and Nadine. Yes, it was hilarious, witty, funny and wonderful, but it felt young. Their mums often sounded like teenagers themselves and so sometimes I felt like Becky didn’t fully capture their age in their dialogue. Despite this, I did love how present Nadine and Patty were in the novel. In a lot of young adult novels, parents are either dead, missing, or have run away and abandoned their children. It was nice to read a young adult novel where the parents had such a strong presence in Molly’s life. One other aspect of the book that I didn’t necessarily agree with was this idea that you need to have a boyfriend to be happy, or that you need to have a boyfriend to be like everyone else. It made Molly appear quite self-absorbed at times, which I didn’t like. I would’ve liked it better if Molly realised that she can be happy alone or happy in a relationship and that she didn’t need one or the other to truly be herself. I recommend this book to young adult lovers. It’s quite cute and sweet, and so if you’re not a regular young adult reader this may not be the book for you. However, if you’re looking for a quick read with a great romance and a great family dynamic, then this is a book you should pick up when you next go to the bookstore. After reading your review I actually KNOW what this book is about now! I’m kind of ashamed to say that I had palmed this book off to the sidelines just based on the not-so interesting cover, it doesn’t really appeal to me. But I think this book will be super relateable to me, I think this is the kind of book my high school self would have loved to have read! I once used to wish I had a boyfriend and felt like I had to search for a guy to feel worthy (not anymore). Thanks for making me excited to read this book! Oh yay I’m so glad you liked my review! Everyone really loves this book so I was worried people weren’t going to like some of my comments 🙂 You should read it when you get the chance. It perfectly captures SO many things I felt when I was that age.